Use the quick links below to jump to a particular section of our sights and activities coverage for Sihanoukville. For an area so small, Ochheuteal Beach has a surprising array of personality traits. Even the three-kilometre long beach from which the area takes its name changes character as you stroll or stagger along it, depending on your fancy. ... Read more about Ochheuteal and Serendipity beach . Long gone are the days when Otres was a deserted beach, haven-of-tranquillity type destination and these days it’s frankly just a bit of a lower-key version of Ochheuteal. ... Read more about Otres Beach . The well-groomed white sands of Sokha Beach provide good and bad news. ... Read more about Sokha Beach . If a walk along relatively quiet Independence Beach away from the hordes of Ochheuteal appeals to you then go there sooner rather than ... Read more about Independence Beach . The twin beaches of Hawaii and Victory lie to the northwest of the downtown area, just south of the huge port complex and are separated by a narrow headland. ... Read more about Hawaii and Victory Beaches . 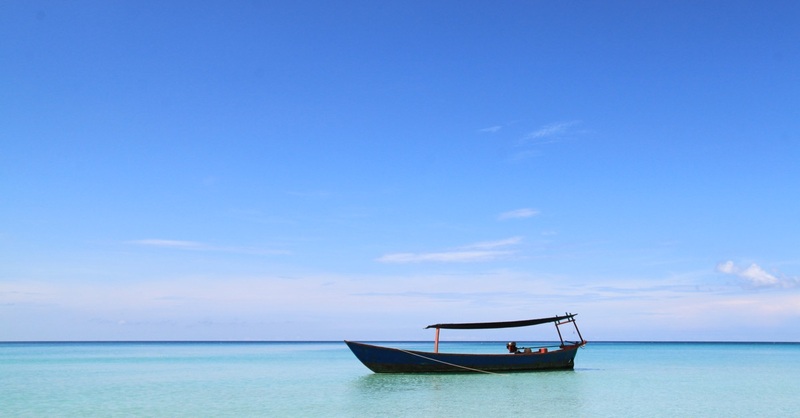 The best time of year to go diving or snorkelling in and around Sihanoukville is December to April when the dry season and currents mean that visibility is at its best. ... Read more about Diving and snorkelling . In addition to extensive mangrove forests, low hill rises and freshwater marshes, Ream National Park is dominated by the Prek Toek Sap estuary which is fed by a network of water sources that converge at the Kbal Chhay Waterfalls some 18 kilometres north of Sihanoukville town, on the other side of National Route ... Read more about Kbal Chhay Waterfalls . Without leaving the mainland, Ream National Park is our favourite part of Sihanoukville. ... Read more about Ream National Park . Renting a $5 a day motorbike or scooter from one of Sihanoukville’s ubiquitous hire shops and devising an itinerary to take in the principle beaches isn’t rocket science but to maximise your day tour we’ll give you our take on the basic loop which incorporates some less obvious but worthwhile side trips and, of course, some suggestions for refreshment breaks along the way. ... Read more about Motorcycling in and around Sihanoukville . As you tuck into a lavishly-topped, wood-fired pizza and glass of ice-cold beer after a lazy, hot day at a Sihanoukville beach it can be easy to forget that you’re sitting in a country long-ranked near the bottom of all the charts measuring human and economic progress. We don’t say this to make you feel guilty. In fact just by being here and devouring that pizza and beer, you’re already ... Read more about Local charities and the difference you can make . Personally, the only shopping occasions we enjoyed in Sihanoukville were checking out the wine racks at Lucky Supermarket and perusing the used books in Casablanca but each to their own and for the shopping-inclined, the town does offer some reasonable options. ... Read more about Shopping and markets in Sihanoukville .